Thomas Kessler to RB Leipzig? “NEIN!” says Köln keeper. When their starting keeper, Fabio Coltorti was lost for an extended amount of time due to injury, Red Bull Leipzig started sniffing around . . . what? . . . Oh, yeah, “RasenBall” Lepizig (sorry) started sniffing around for another keeper to get them to the other side of the personnel shortage. Apparently, the back-up keeper for our beloved club was on the short list of potential acquisitions, at least as far as it can be said that the Austrian energy drink pimps keep a short list, considering they’ve already broken the 2. Bundesliga spending record this summer. When the story first emerged, it seemed, as with Yannick Gerhardt’s potential move to Benfica, that Jörg Schmadtke was content to allow the player to consider the matter. Unlike Gerhardt, however, Kessler is not a young talent for whom there is no true replacement. That’s not to say that Kessler doesn’t have his own unique contributions to the team, because I believe he likely does, but football-wise and considering how much playing time he can be expected to get, any loss would be heavily offset by collecting a small pile of money from the free-spending buyers. There might have been some additional benefit to losing a keeper, as Marcel Schuhen was probably not too thrilled to be among the several players sent to the developmental squad recently. With 19-year-old Daniel Mesenhöler getting a professional contract this summer, there is a backlog of young keepers in Köln. Though, they are all young! What Kess has that none of his position-mates have is the maturity of a mid-career athlete and his (albeit somewhat limited) Bundesliga experience. 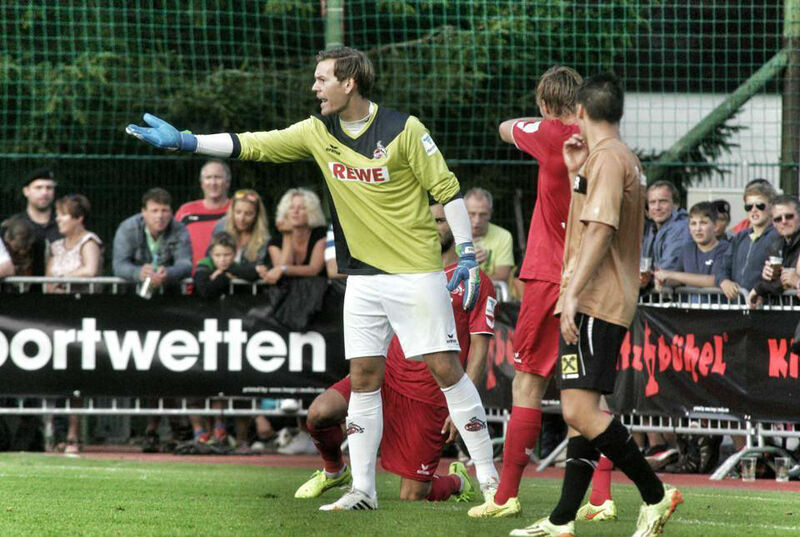 Timo Horn may be the everyday keeper for the club, but it won’t be until at least this season’s end when he will have logged as many top-flight matches as Kessler has on his record. And Kessler knows he’s the back-up! I’m extrapolating all of this to mean he’s a team-oriented guy, who is prepared to do what is asked of him to help his club. Of course, when news of his decision spread into the world, fans of the club praised him fully, as is appropriate, which led Kessler to resp0nd via his Facebook page. Loyalty garnished with graciousness? Well, that’s the sort of thing fans will eat alive every time. Does Kessler believe he may eventually supplant Timo Horn? Maybe. Does Kessler have some inside information as to Horn’s intentions next summer as he enters the end of his current deal? Could be. Does Kessler know how to endear himself to the citizens of Planet Effzeh? Most definitely. Consider this just another “nice message and comment” to add to the flood heading your way in the wake of your decision, Kess. We’re lucky to have you. Be the first to comment on "Thomas Kessler to RB Leipzig? “NEIN!” says Köln keeper."